Yes, we can! Laughter is fun and easy to share. Here are some easy ways that you can change the world with laughter. Post a funny joke on social media. Check my Twitter page for funny jokes. Recommend a funny YouTube video. Subscribe to my channel to get my latest videos. Connect a friend with your favorite comedian. Share my Facebook page with your funniest friends. Bring friends to a comedy show. Research shows that happy people laugh together. 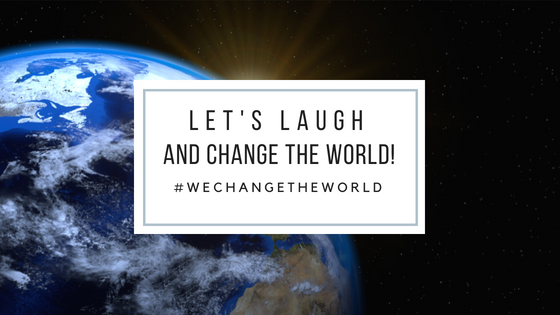 Join the #WeChangeTheWorld Newsletter. Get a free update on the first Tuesday of every month.